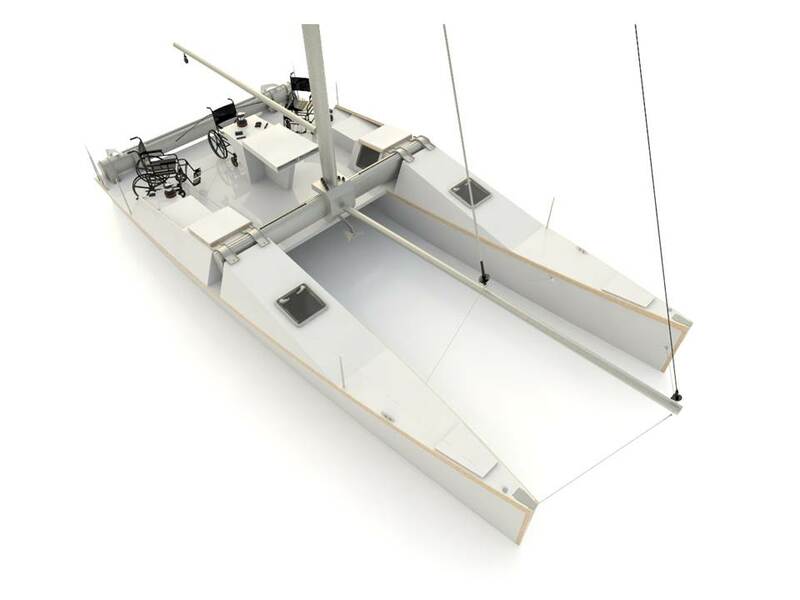 Since 2011, Watever supported the shipyard Voil’Avenir and participated to the development and the manufacturing of catamarans accessible to people suffering of reduced mobility. This ambitious project had a double social vocation to allow the insertion of people in a professional environment and the navigation to people in wheelchairs. Watever supported the project until 2013 on many aspects: the establishment of a network, the communication, the project’s development, the conception and the resolution of technical problems. Watever’s team was especially there for the first trials at sea of the VA32, during the Multihull Show at La Grande Motte in April 2013. The VA32 took the road to La Grande Motte where it will be made available to reduced-mobility people, through the establishment of partnerships. The VA32 made way for the VA26, which was destined to go in nautical clubs and sailing schools whose plans are elaborated by VPLP Paris. Voil’Avenir became partner with Watever concerning the training aspect, the integration of biomaterials in naval manufactures and welcomes VISs (Volunteering of International Solidarity) on the shipyard.